Give your customers a party with the promotional Christmas Chocolates Small Bucket. The ultimate Xmas custom gift. 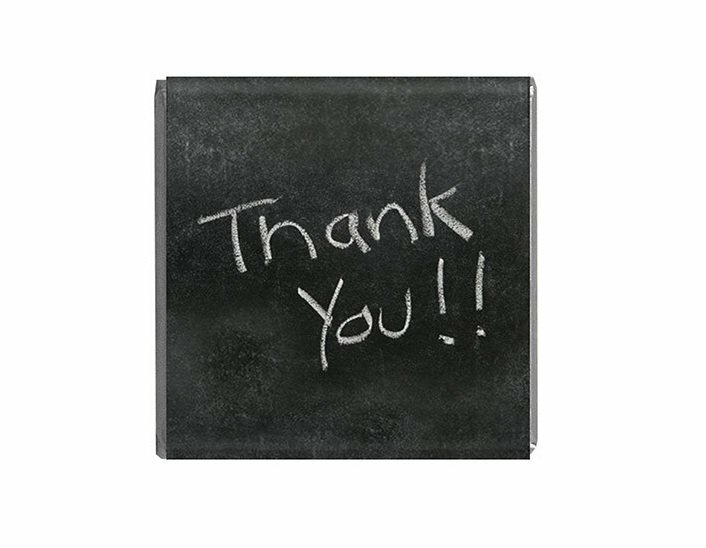 Make this holiday season more memorable to your colleagues by giving them a really great promotional gift. And for that, we’d like to suggest you give them the personalised Christmas Chocolates Small Bucket. 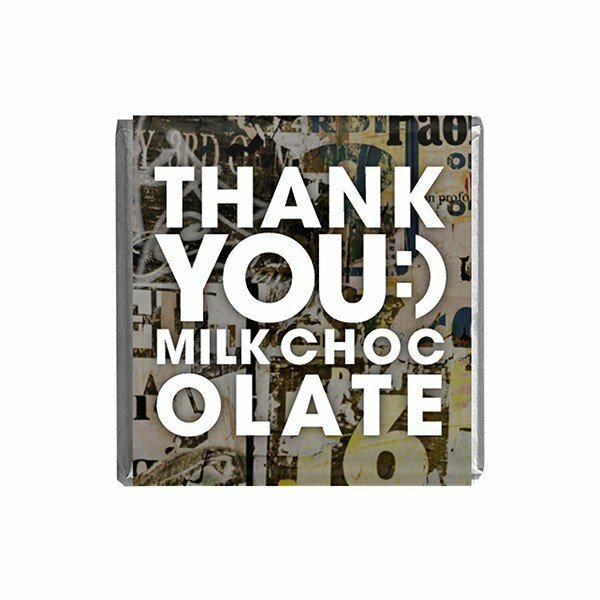 This little package is stuffed with delicious chocolates that are big in taste. And what’s more, you can have it customised to host your branding. 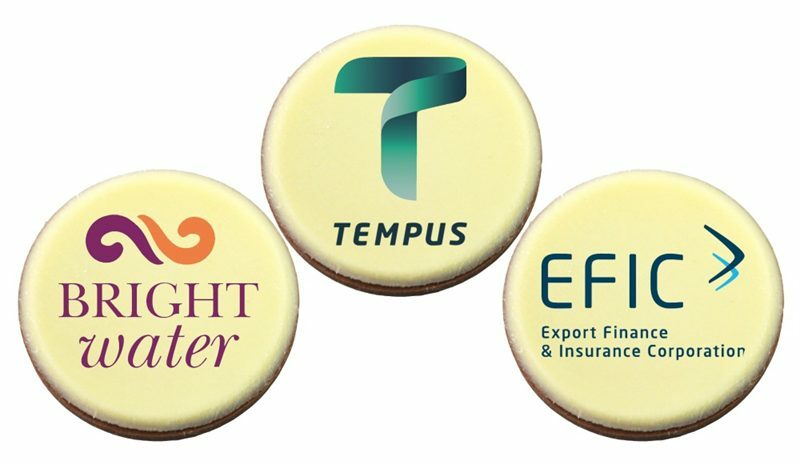 It’s a delicious way to advertise your business, while at the same time making your colleagues feel more special. The branded Christmas Chocolates Small Bucket comes in with a hefty 100 grams of these tasty chocolate treats. The bucket size is 70mm (w) x 70mm (h) and has a handle for convenient carrying, while the lid is resealable to keep your candies freshly stored. With a see-through PVC body, the shiny foil wrapping of red, green, gold, and silver, glitters through the light, making the promotional Christmas Chocolates Small Bucket a lot more enticing. And for branding your gift item, you can make any custom design like your holiday greeting or maybe your logo. When you send us your design, we can have it printed on a full colour sticker that’s 50mm (w) x 40mm (h) which will be placed on the body. There’s also a sticker allotted for the lid which is 45mm (diameter). With your branding on the low priced Christmas Chocolates Small Bucket, you’re not only giving away chocolates, but also great memories. We also have other confectionery products for your Christmas promotions. You should check out our line of custom Christmas Chewy Fruits which you might find interesting. One clever presentation under this category is the branded Christmas Chewy Fruits Soda Bottle. By the way, we have another website catering for every possible colour of promotional balloons. Christmas promotions may not be fully complete with out candy and balloons together. So why not browse this range too. You can always hop right back to our Fast Confectionery website when you’re done. 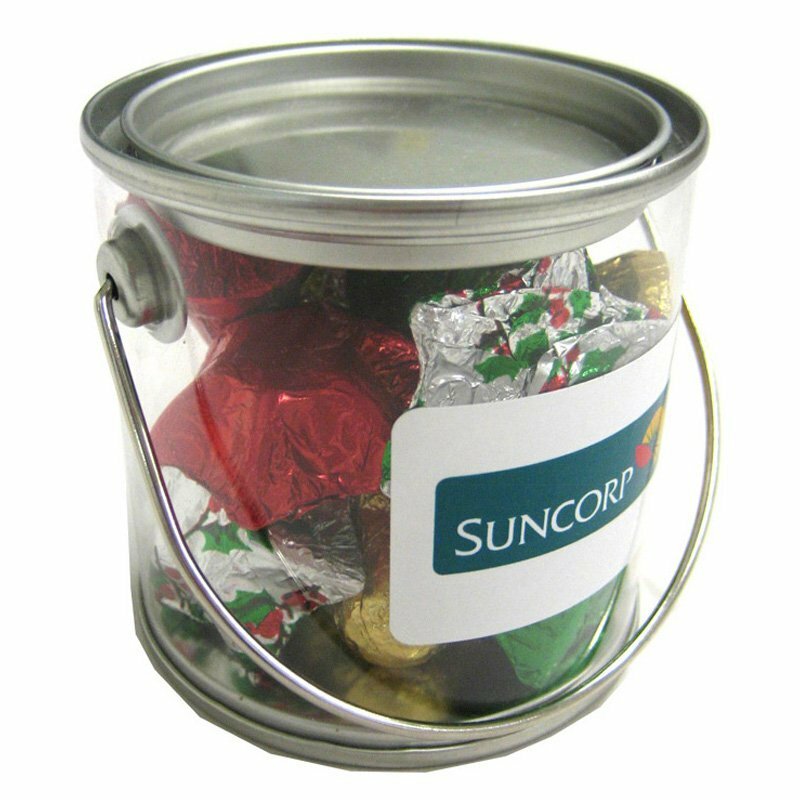 Bring more fun to your parties with our promotional Christmas Chocolates Small Bucket! This is also a great personalized gift for clients and teammates. For more customizable giveaways, check our Six Panel Wool Blend Flat Cap and our other head wear perfect for all seasons! We have a really cool live chat application right at this website where you can send us your questions. Likewise, you can also dial out hotline number which is 1300 008 300, if you prefer to speak to us through voice calls.